Bring cream & milk to a boil. Remove from stove and add chocolate in pieces. Stir until chocolate is dissolved. Add olive oil and stir in well. Place in bowl and leave to cool in fridge. Scrape a tiny scoop or melon baller across the surface of the chocolate mixture to form an irregular round truffle, 1 inch or less in diameter. Place the truffle in the pie pan. Shake the pan to roll the truffle in cocoa. 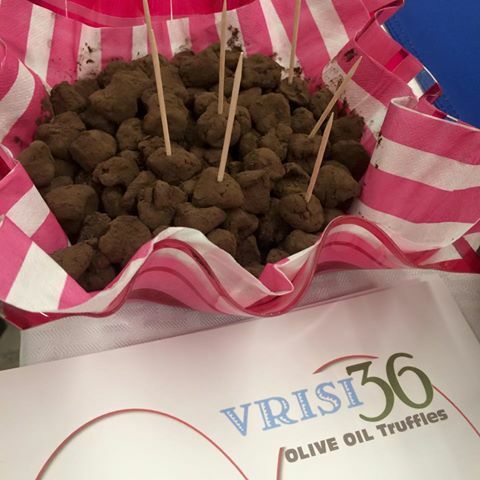 Repeat until all of the truffles are shaped and coated. Remove the truffles from the cocoa to a covered container. Refrigerate to store. Remove truffles from the fridge about 10 minutes before serving. ***You can add orange zest, Orange Liquor / extract in with the milk if you prefer. 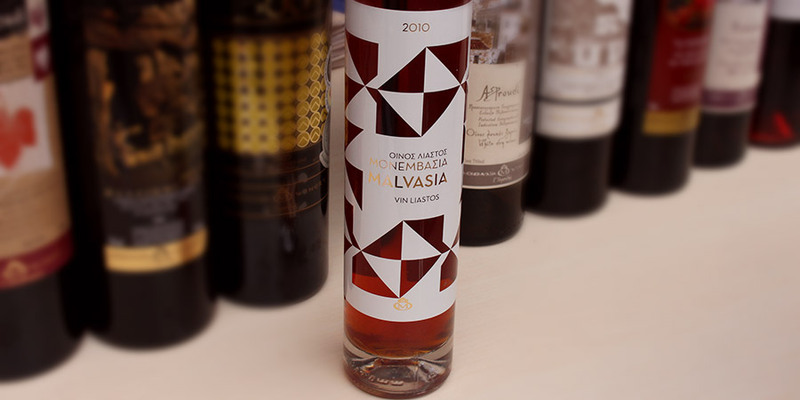 Pair these beautiful truffles with the most historic Malvasia wine from Monemvasia Winery.